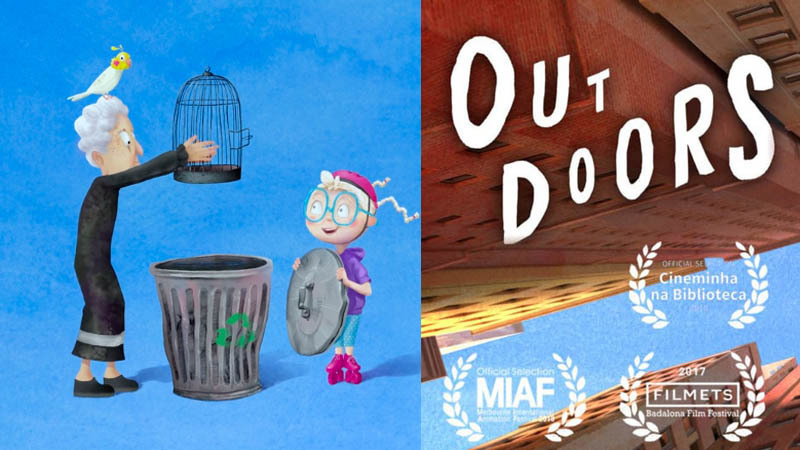 Outdoors is an Animated shot film Co-directed by Anne Castaldo, Sarah Chalek, Elsa Nesme, and Adrien Rouquié at Ecole MoPA. A very old apartment dweller steps out of her cage and into the big city in search of her lost bird. The little girl next door, guilty of setting the bird free, goes out in search of her neighbor. As they search, they discover something bigger than the city itself.